THEY slumped into their chairs in disbelief at the massive pounding received on May 9. The egos of the vanquished candidates – some who lost key positions in the federal and state governments – and their loyalists were floored during Malaysia’s 14th general election. They were shattered. These politicians ignored their buzzing phones for days. They shied away from social media – a platform they heavily invested to woo voters – as the losers were mocked online. 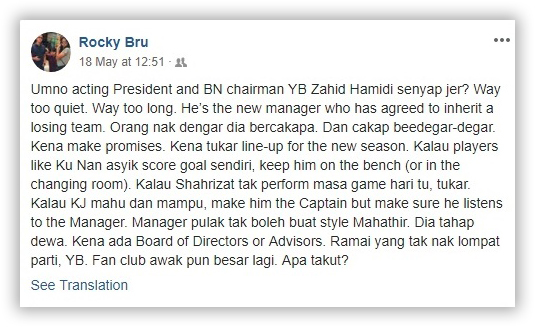 The deafening silence continued days after the election, prompting veteran blogger and journalist Datuk Ahirudin Attan, better known as Rocky Bru, to put one politician – acting Umno president and Barisan Nasional chairman Datuk Seri Ahmad Zahid Hamidi – on the spot on Facebook last Friday. It has been an orchestra of emotions for these politicians. At first, many were in denial as anger and bitterness overwhelmed them. Some, however, quickly embraced acceptance. There were those, however, who remain “depressed“. According to Tan Sri Dr M. Mahadevan, “the biggest depression in the world is when a man loses in politics”. “It’s even worse than going through a divorce or losing a loved one,” said the former chief psychiatrist to the government and founder of the Malaysian Psychiatric Association. Having returned to Malaysia from Havard in 1967, Dr Mahadevan has witnessed 12 general elections. “Many politicians have seen me for emotional disorder,” he said. In between answering phone calls and with two other guests – an expert in economics and a lawyer – waiting patiently at his Ampang home, Dr Mahadevan said the “herd instinct” was still prevalent in the country. “The supporters will just follow and if the leader is defeated or no longer around, the rest will not know what to do. They are overly dependent on their leaders and will be lost once there is no leadership,” he said. 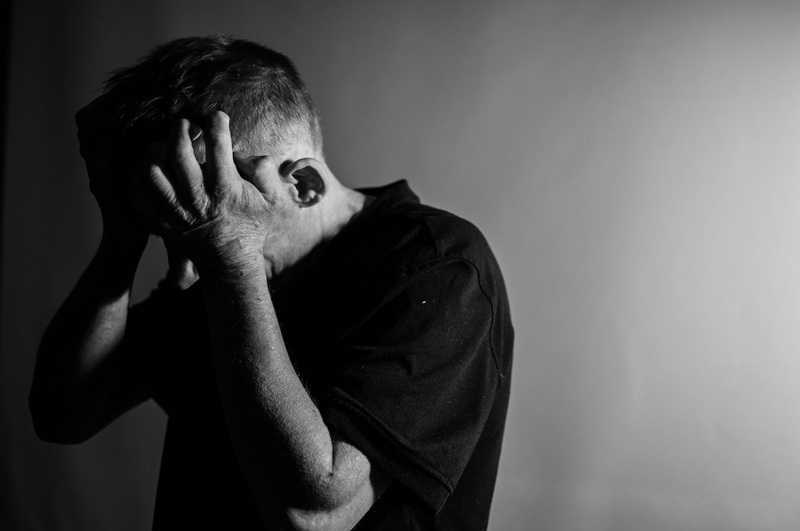 A study carried out last year by the Health Ministry revealed 18,336 Malaysians suffer from various stages of depression. The findings were obtained through screening programmes conducted on 273,203 people at health and community clinics. Dr Mahadevan said the severity of feeling depressed and anxious boils down to the personality of the individual. What is Dr Mahadevan’s recommendation for the battered politicians and their supporters?